This is a comprehensive, well detailed and in depth list of our top ten handpicked best free password manager apps that you can get and should have on your android phones today and as well in 2019. 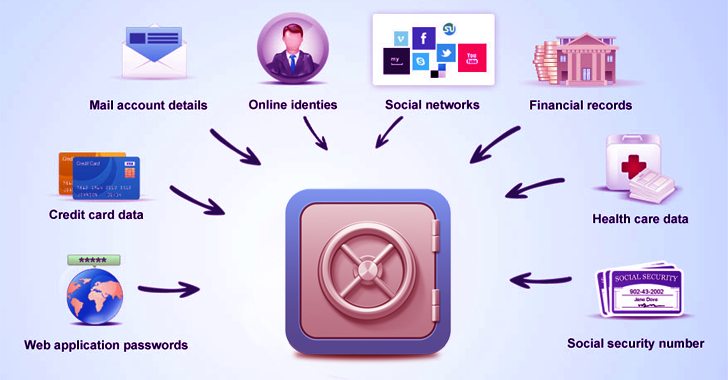 Before now, we have already taken out our time to broadly explain and discuss what password management is all about, what password manager apps are, and what they do and how they do them in our previous article. You can see it below. So let's just go ahead and list out the ten password manager apps, which we think is best for you. The first two will be discussed in details in this article, while the remaining eight, will be left to you to unlock their individual secrets by yourself when you download them. The reason why we're discussing only two is because, they pretty much follow the same principle and working precedure. So without further ado, here are the ten best password manager apps that you can get and should get on your android phones today..
Well, what more could i say? the best comes first, and so is it with LastPass. LastPass is one of the few genuine and original password manager app out there in Google Play Store, created and owned by LogMeln Inc. and sure do comes a lot of very cool features, like the ones listed out in the previous article. See it Here in case you didn't. 1. It saves your passwords, general login details, credit card information, etc, in a secured vault. 2. Has password auto-fill feature that automatically fills password in, in web browsers like Google Chrome, and Opera Mini web browser. 3. Comes with a password manager tool that lets you save and easily search passwords from all your sites and apps. 4. Uses bank level AES 256-bit data encryption system. 5. Has a dedicated fingerprint lock and unlock system. 6. Password can be shared among trusted contacts for emergency access, and many more features. Stay protected with the world's most trusted and #1 downloaded Password Keeper. Keeper’s password manager generates, stores, and autofills strong passwords on all of your devices while also securely storing and protecting your private documents. It has pretty much all the features that were listed out for LastPass, but sure do comes with its own unique features that makes it stand out from the crowd. 2. Access and sync your passwords from any of your device. Say your Windows PC, android tablet or smart phone. 3. Has a combination of both fingerprint unlock system, and a face recognition system. So like we said, we are gonna be explaining just two, while we leave you to uncover the secrets of the remaining eight. and here they are. Keep all your passwords in one safe place. Never forget one again. Experience password freedom with Norton Identity Safe. So guys, that is everything we have to say today on the ten best password manager apps available for android on the play store. Please leave us a comment in the comments section below, and don't forget to share this article, and subscribe to our newsletter. do any password manager have the password generator which can generate random and strong passwords. Yes definitely.. The LastPass password manager can help you achieve that feat.. thanks for stopping by Rihanna..